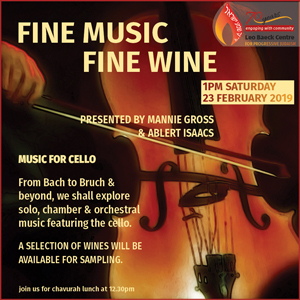 Music for Cello, presented by Mannie Gross. Wines presented by Albert Isaacs. From Bach to Bruch & beyond, we shall explore solo, chamber & orchestral music featuring the cello. A selection of wines will be available for sampling.